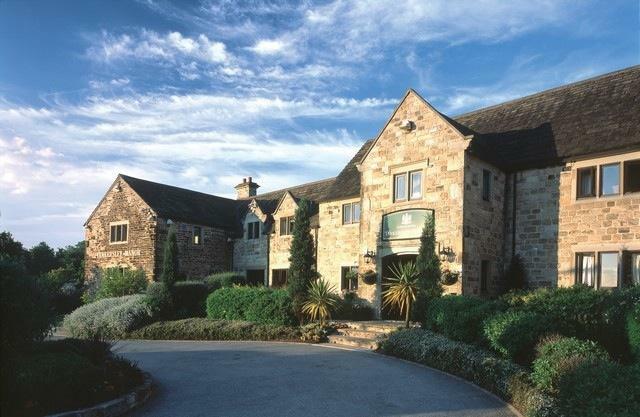 Welcome to Tankersley Manor Hotel. Located in the heart of South Yorkshire just off the M1 at junction 36. This four star venue offers a wealth of charm and character and provides a unique and elegant surrounding for your perfect day. 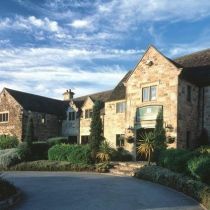 Tankersley Manor incorporates a 17th century building within a modern hotel and many of the original features maintained. The Tankersley suite is a perfect, self contained wedding venue located in a private area of the hotel. 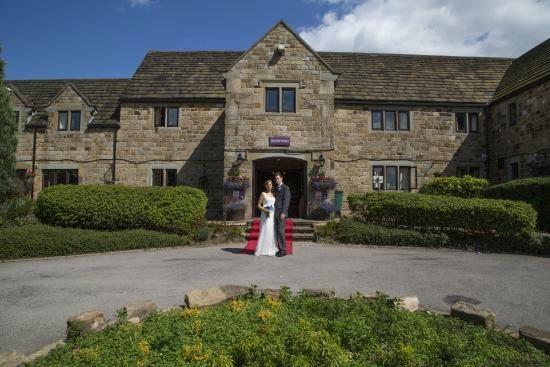 It offers, what we believe to be, one of the most stunning and elegant venues in Yorkshire. The suite can accommodate up to 280 guests during the day and up to 350 guests for an evening reception. A private car park and entrance compliment the facilities and a large reception area and private bar is ideal for arrival drinks. Patio doors also leading out onto the private garden and terrace which is ideal for those important photographs. Adjacent to the Tankersley Suite is the Crook Barn. This unique feature of the hotel is the perfect setting for a civil ceremony up to 100 guests. With wooden beams and exposed stone walls this room creates a romantic atmosphere to compliment your day. The Manor Suite is located in the heart of the hotel and is ideal for the more intimate family wedding. Full of charm and character with it’s stone walls, the room also has the benefit of a private bar. The Manor Suite can accommodate 80 guests during the day and up to 120 guests in the evening. The Fitzwilliam Suite is perfect for civil ceremonies. Tastefully decorated and oozing with natural daylight. The conservatory next door provides an excellent setting for your drinks reception and offers access to the patio and grounds. The hotel also offers guests attending weddings the chance to experience the hotel in full with an overnight stay. With a range of bedrooms including four poster suites, executive rooms and standard accommodation, all with en suite facilities, plasma T.V.’S, tea and coffee making facilities and free Wi-Fi. Here at Tankersley Manor Hotel we offer a range of options for dining. The Manor Restaurant is open for breakfast and also offers a la cart menu for dinner. The Onward Arms is the heart of the hotel and offers traditional pub food in a typical, authentic Yorkshire style. With beautiful open fires and plenty of outside seating, it provides and ideal setting for a few drinks with family and friends before the wedding. The hotel also offers all guests the chance to relax and unwind at reflections spa and leisure. It offers the heated indoor swimming pool, spa bath, steam room sauna and fully equipped gym. A range of spa treatments are also available. On behalf of all of the team we thank you for considering Tankersley Manor Hotel for your forth coming wedding. Our dedicated wedding co-ordinator can advise you on every aspect of your day and also our teams professionalism, attention to detail and commitment to excellence will ensure that we can deliver the most memorable day of your life.